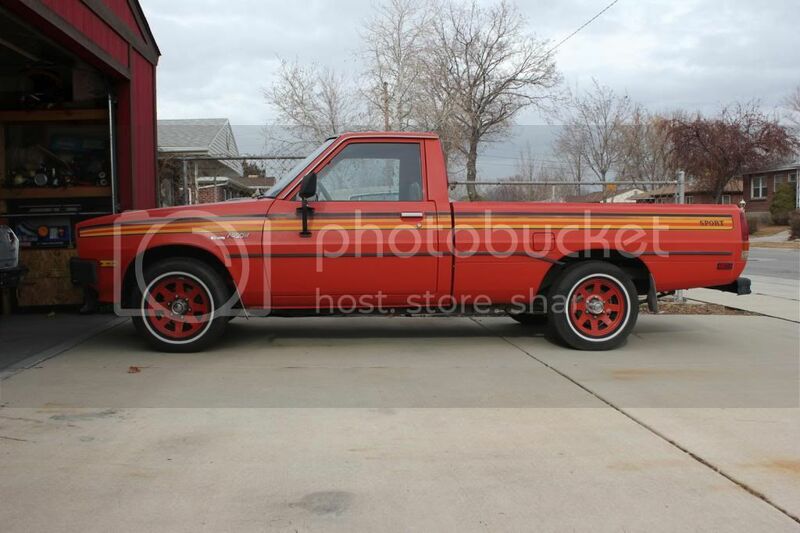 Forums » Grassroots Motorsports » Learn me Early Dodge D50s/ Mitsu Trucks. A while back I saw a Might Max or D50 someone was putting a LS into, and I thought it was a pretty cool little truck. I started looking for them and they are rare around here. Fast forward a few months a super clean 94 Might Max shows up. Its a stick and all original driver. Im smitten and the owner tells me they plan on selling shortly, we exchange info, and I hope I hear from him in the future. The next day a buddy calls me and a complete 81 (early body style) D50 is for sale locally. Doesnt run, but it appears to be all there and it is super cheap. I know it a stick, but that's about it. I did some learnin on the 2nd gens but know nothing about the 1st gens. Id want to get it running, maybe some whistle ponies if there is an easy button, maybe lower it a little bit, but mainly just have a cool weird run a bout. Well there’s basically only one Mitsubishi engine to stick in there. On the other hand there are no shortage of jeep transmission/small block/Toyota engine V eight thingies to stuff in it. Do eet. That's all I got. Love those trucks. The only one I've ever seen in the wild had a 22r in it. Saw it with my own eyes. I'm not sure why, but it was swapped in there. That's all I have to add to this conversation. I like the way they look. The engine they come with is very similar in design to the 22r. It's called the Astron, came in 2.0 and 2.6L displacements, and is the same engine they turbo'd for the Starion/Conquest. It's a sohc 8v timing chain motor. One of their known foibles is that they actually have TWO timing chains, and the other one runs the balance shaft and the oil pump. Unfortunately, when that one fails it doesn't cause the engine to stop, so it's possible to drive it with no oil pressure until it seizes. Of course, this isn't really an issue in an enthusiast community in my opinion because if you drive anything with no oil pressure until the engine seizes and you know enough about cars to call yourself an enthusiast, well, it's your fault! I have three of these engines. One is in my 82 Lebaron, another in my 87 Montero, and the third is in my 1980 Plymouth Arrow pickup (which is basically a d50 with a plymouth badge which means way cooler). Of those the first two run and I've never touched the Arrow. Another someday project.. Anyway, the earlier trucks are vastly cooler looking than the later ones in my opinion. There was somebody here who had a ratty, lowered D50, in blue, that looked absolutly perfect. I wish I had pictures. My friends dad dropped a 100’+ pine tree onto the roof of his Mighty Max (while he was inside it) and after he was able to extricate himself, he and his brother-in-law used a Hi-Lift jack to get the roof off the dashboard and continued to drive it. Nope. Was a few years before that. God I wish I could be more specific. 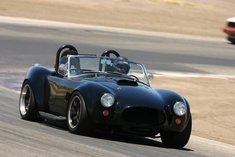 I wanted that so bad, I learned to drive in one of those that my uncle ran his mail route in. I went and looked at it this morning. Owner says if you drop some gas into the carb it runs, and he has a new carb but doesn't know about working on cars. I took a jump box and starter fluid for this soecifically, and my jump box was dead. It's a 2.6 5 speed. It was beige, it's like a red brown now. Terrible respray, the liceslnse plate has overspray on it. Seats are not original, and are held in with wood. I want a bench and worry about finding one. Body is decent except for the tailgate. It has some terrible aftermarket wheels with quite possibly the worst tires ive ever seen. Sounds like most might max you can get for a few hundred bucks. I believe the later ones came with a 2.4 4g64 engine, I would rather have that over the 2.6. But, I've seen many MM with starion engine swaps, they're fun and unreliable lmao. Throw in a 4g63t, t5, add a 16g, and ecmlink if you want the fun. Starion 2.6 turbo swaps are easy and common on those trucks. 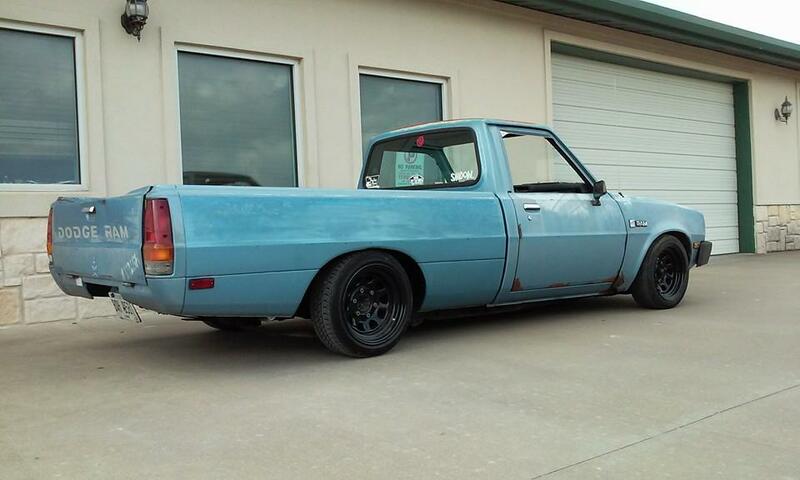 4g63 swaps are beaten to death on these trucks. I was working on a 4g64t dual cam swap before I got bored of it and then consequently got carried away with the sawzall and GM speed parts. There's a few 318 and sbc swaps out there that didn't move the firewall. I had no remorse cutting the firewall since it was a $300 truck. There's a pretty tight group of guys on Facebook for these trucks. I'd join a couple of those if you are interested in buying one. A lot of the time these little trucks change hands on those pages between the members of those pages. Also there is an unusual amount of second gen trucks listed for sale on North Carolina Craigslist at any given time. Long story short they are great little trucks that are often cheaper than their Toyota, Nissan or GM counterparts. I'd love to find a diesel truck regardless of generation to have as a parts runner. IIRC Direct Connection had a 318 swap kit for the early ones; I remember seeing a lot of them at shows growing up. So about that small block mopar v8 swap, the 2.6 auto trucks used a chrysler 904 trans which means that if you get an auto truck you just need to switch to a v8 904 case and the trans/driveshaft/crossmember stuff is all already done. I've thought about shoving a 3.9 into mine, but without an auto parts truck it's not as attractively easy. Since the Astron has pretty good headflow I lean more along the lines of stupid high compression, big cam, and sidedrafts. I want your Arrow Vigo. like Vigo said, the timing chains were prone to failure, my parents had one in an 84 New Yorker back in the day, replaced the motor once and it was pretty much my fault. Dad came to watch me at the drags, I blew the trans on my small block Vega at the track (another story unto itself) and Dad had to flat tow me home with the New Yorker . The choke was a pain as well, it was Coolant based - don't remember much more that that as i have been successful in deleting most of that motor from my memory LOL. On a side note, the 2.6 mitsi came in a few K-Cars up here and those cars had "2.6 HEMI" badges on the fenders - true story, totally hilarious. 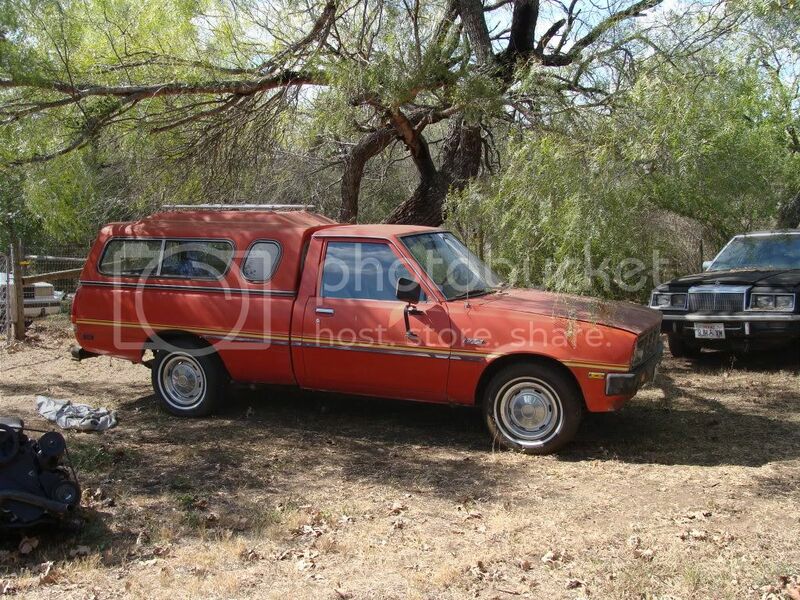 I used to have a couple i pulled off a car at the junk yard.